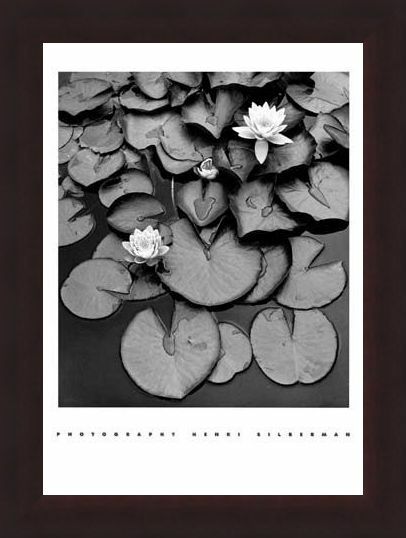 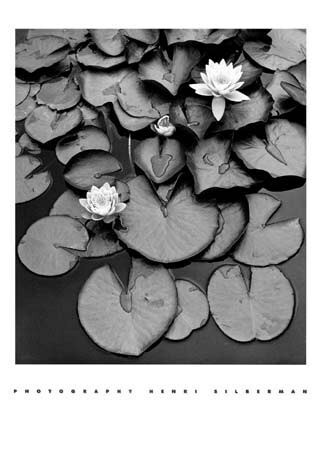 Photography Mini Print: This beautiful photograph of a bed of waterlilies is a wonderful distraction from Henri Silberman 's better known photographs of New York urban landscapes. Focusing in on the textures of the pads and flowers, this stunning black and white print is a wonderful take on nature and it's hidden beauty. 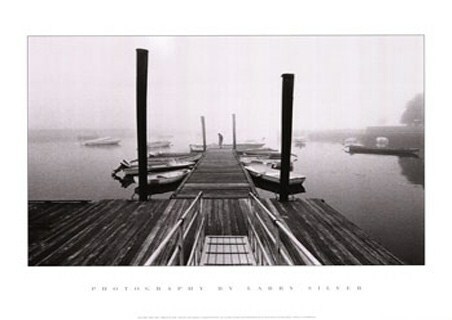 Silberman's work has always captured a beautiful moment in time and made it into something even more spectacular, whether it be an city skyline or a natural landscape. 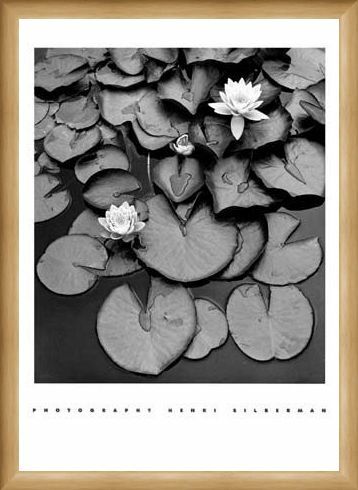 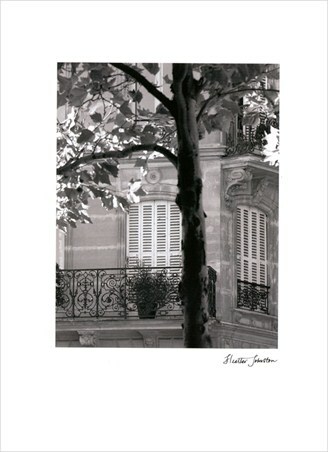 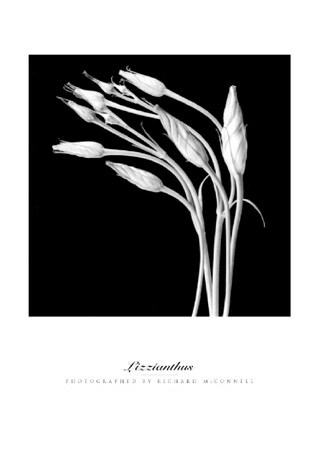 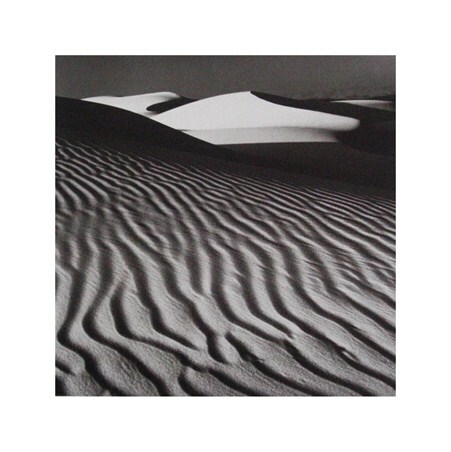 This print will really add some class to your home and it's black and white tones are sure to make an impression on your wall. 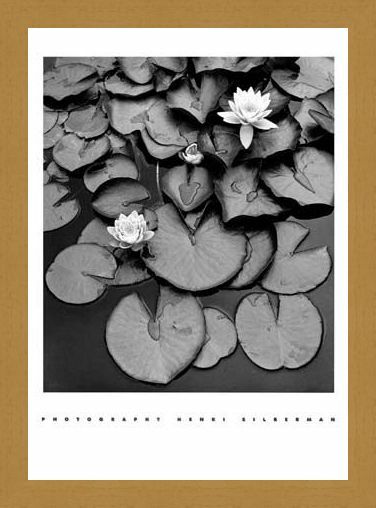 High quality, framed Waterlilies, Henri Silberman mini poster with a bespoke frame by our custom framing service.